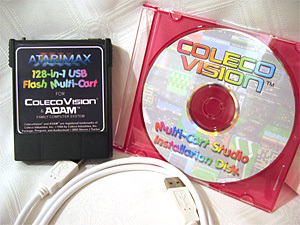 Atarimax "ColecoVision 128-in-1 Flash MultiCart" is a professionally produced 128-in-1 ColecoVision/ADAM compatible Flash Multi-Cart with on screen game menu and a fast USB flash programming interface. The cartridge includes professionally produced Multi-Cart Studio PC Software and plug-and-play device drivers for Windows 7, Windows Vista, Windows XP, Windows 2000, Windows ME and Windows 98. 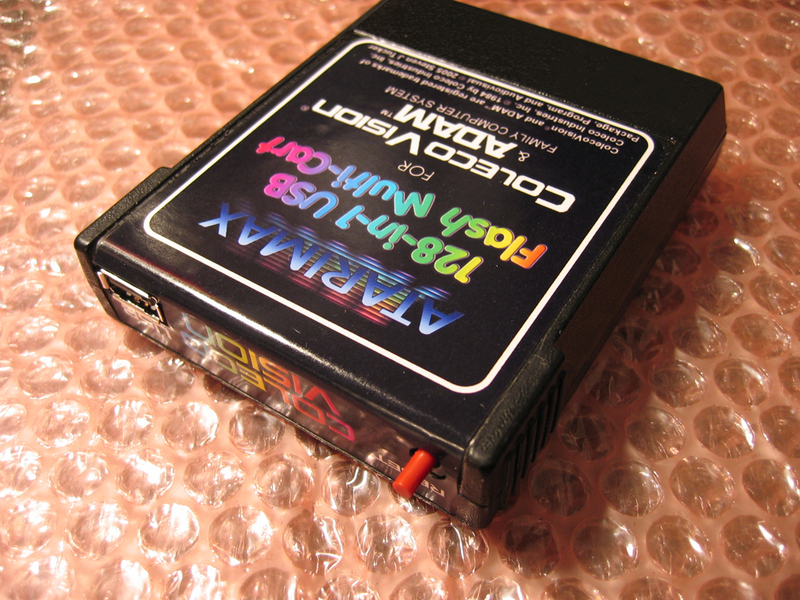 Each cartridge can hold up to 127 of your favorite ColecoVision games, plus on-screen menu and diagnostic software. 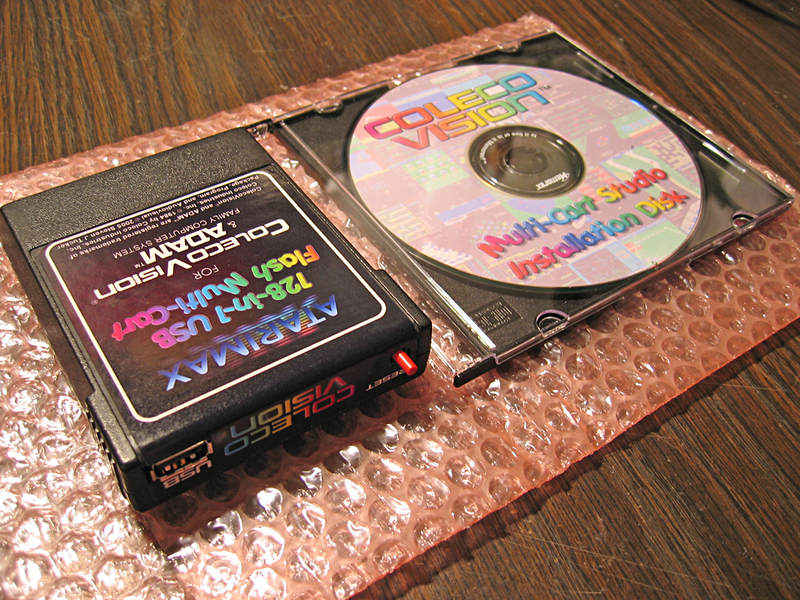 Each cartridge contains a USB port for adding and removing games using your PC, plus a Reset button to return you to the games menu without having to turn your ColecoVision off and on again. Adding or replacing a game is as easy as dropping the rom image into the slot you want and pressing the 'Synchronize' button in the multi-cart studio software. Once you have loaded your rom images you can plug the cartridge directly in your ColecoVision and play, no PC connection required! The complete kit sold below has everything you need to get started including Flash Multi-Cart, USB Interface Cable and Software Installation CD with software and drivers for all USB enabled Windows PCs. Please note: No commercial ROM images are included with this product. It is shipped blank with only programming, self-test and menu software. 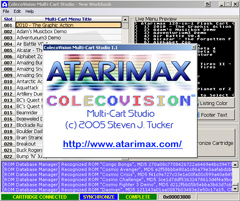 Any commercial product names seen on software screenshots are for illustration purposes only and are not included with this product. Please see the hardware and software documentation for a full list of features. of the cartridge in use. Cartridges are now IN-STOCK and shipping! Serial numbers will be assigned "first come first served", but if you would like a specific number please e-mail after placing your order and I will assign it to you if its still available. US orders will be shipped by USPS w/ Delivery Confirmation. International orders will be shipped by Air Mail. If you wish to make payment arrangements other than credit card please e-mail. 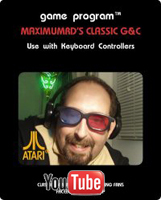 for ALL Atari 8-bit Computers! Adds True Double Density, High Speed Backup, Ultraspeed+ I/O and much more to Atari 1050 disk drives. Easy 5-minute, solderless, plug-in installation! 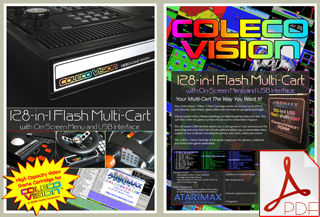 "flawless in execution, flawless in design"
"A must own for any Coleco fan!" The USB Flash Cartridge Community Forums are now open, click here to enter! Drop in and chat with other USB Flash Cartridge owners! Please note, with the downloadable installation, device drivers that are normally located in the root directory of your installation CD-ROM are located in the 'Device Drivers' folder at the installation point. If you need to update your device drivers using a new version, select 'Specify Location' instead of 'CD-ROM Device' when prompted and browse to the location you installed the Multi-Cart Studio Software. 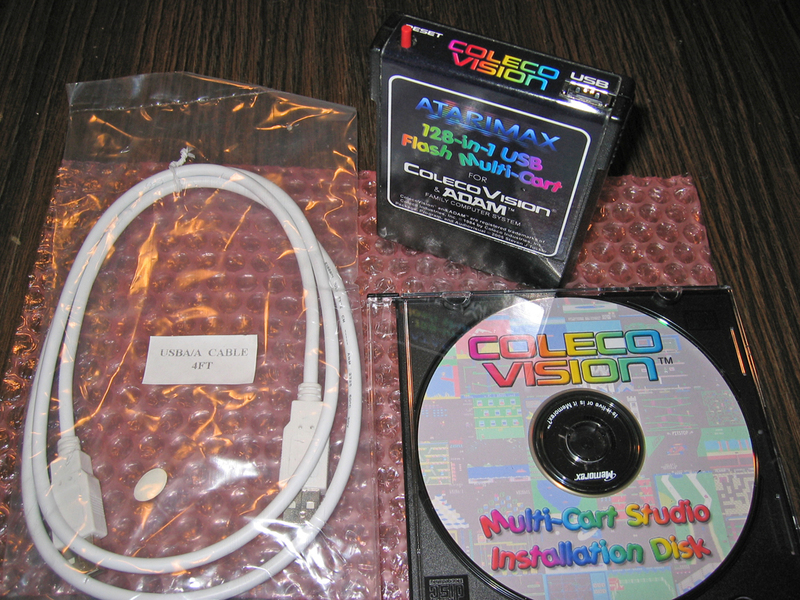 Future updates will be provided free of charge to owners of the Atarimax ColecoVision Flash Multi-Cart.